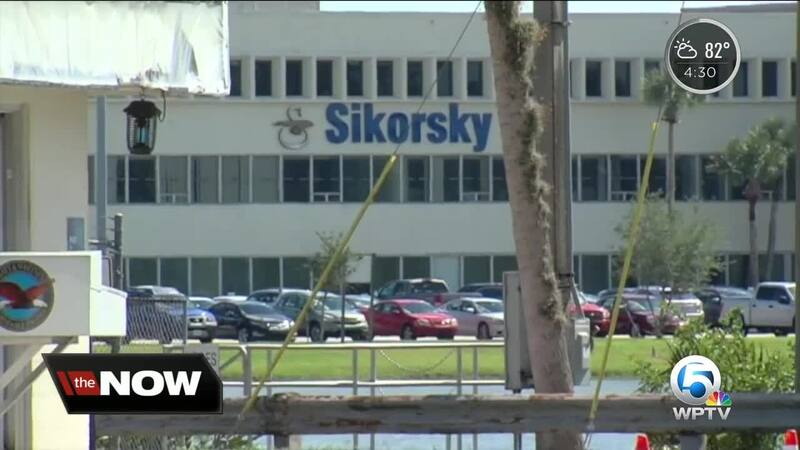 After a month of talks Sirorsky has officially moved to layoff at least 100 employees. 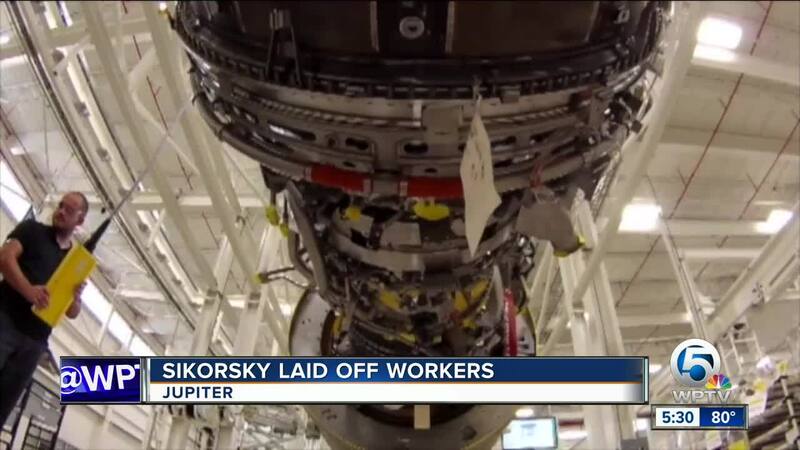 The Sikorsky/Lockheed Martin assembly plant in Palm Beach County is beginning the process of laying off at least 100 workers. Some of those employees told to go home unexpectedly on Wednesday morning. This comes after WPTV first reorted the layoffs in April. The company then made an official announcement in July . The company plans to consolidate operations and said it won't be renewing the lease for the Florida Assembly and Flight Operations. That decision was supposed to affect 500 workers but WPTV learned today they were able to reduce that number through transfers and job placement. As we had announced in July, Sikorsky is consolidating operations and is not renewing our lease for the Florida Assembly and Flight Operations (FAFO) property in West Palm Beach, Florida. This is due to substantial workload reductions at FAFO and to reduce costs by eliminating overcapacity. We are continuing to operate the Development Flight Center (DFC) on the same campus, which employs approximately 600 people. While we had announced in July that we anticipated this action to impact approximately 500 employees, we were able to reduce that number to about 120 due to attrition and aggressive job placement efforts – including arranging for qualified workers to transfer to jobs within other Lockheed Martin businesses. Most of those workers impacted by this previously announced action are departing the company today. For the first time since reporting on the layoffs earlier this year, WPTV is finally hearing from one those employees affected. "I was under the impression it was going to be a normal morning," said one worker, who wanted to remain anonymous. In July, the company informed workers their jobs would be phased out over a three-month period starting in October. After not hearing any more updates, some workers said they were somewhat blindsided by Wednesday's sudden move without warning. "Right away, they just took us into a meeting. They kinda treated us like cattle," said the anonymous worker. "Not even being able to say goodbye to anyone, people you've been working with for years." They were handed a blue folder filled with information on what to do next and then were sent home. While the workers union -- Teamsters Local 1150 -- tried to keep them in the loop, employees told me the company mostly kept them in the dark about the layoffs until Wednesday. "I've been laid off before. It's something that in this industry you kind of deal with, but you would just kind of hope the human resources element of it would be a little more professional," said a worker. Sikorsky says the decision comes from a lower demand by the U.S. government to build military aircraft, therefore leading the company to consolidate operations for the sake of cost-cutting. "It's a lot of people to have to all of the sudden enter into the workforce," said one worker. The 600 employees part of the Development Flight Center will still keep their jobs here at the assembly plant. Many employees also attended job fairs in the area and have been able to secure work.